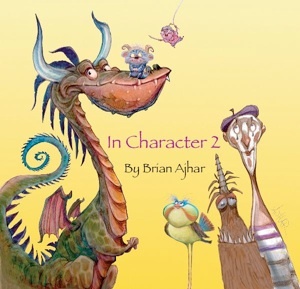 The career of artist Brian Ajhar has already spanned three decades. He’s a character designer and caricaturist who has illustrated more than a dozen books — furry, human, and otherwise. Many of his sketches and character designs have been gathered together in three books: In Character Volumes 1 & 2, and Mugs & Beards. Currently he travels the country as a guest lecturer and instructor at numerous art colleges and animation events. Check out his web site and make sure to watch the YouTube video featuring a collection of his work.